Think about what you enjoy doing and find creative ways to use your skills and interests to help local agencies. This page is to help you get started. Click on the age of the youth interested in volunteering to view ALL suitable opportunities. Note: some of these opportunities may require volunteering with an adult. If that is the case you will need to register as a team we know who is registering together. If you do not find an opportunity you may wish to check back in the future or explore some of the other options listed below. To sign up for or express interest in a volunteer opportunity posted on our site, you must first be registered on this site. Some opportunities for youth may require signup with an adult which requires the adult and youth to signup for, or express interest in, the opportunity as a team. Learn more about teams. 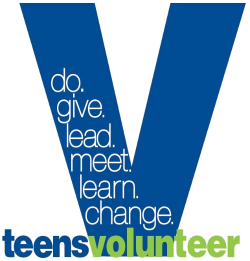 Click on the age of the youth interested in volunteering to view suitable DATE & TIME SPECIFIC volunteer opportunities. Note: some of these opportunities may require volunteering with an adult. It can be difficult to find posted volunteer opportunities for younger youth. Volunteering is helping others. One way we can all make a difference in our community is through Acts of Kindness. View our list of ideas to get you started. It can be a challenge to find volunteer opportunities for families, especially with younger children. There are not many local agencies that welcome volunteers under the age of 12 on a regular basis (although certainly there are projects and one-time events that are perfect for volunteer families). So what can you do? First, you can approach a local agency (or issue) with the question: "What do you need?" That can give real insights into project ideas for how your family may be able to help. Often, it's easier for an agency to welcome volunteer families or groups that approach them with ready-to-go project ideas that require very few resources from the agency itself. It could be something as simple as a collection, or as intricate as teaching crafts to local seniors. Our Guide to Giving has some donation requests for items they need on an ongoing basis that may be good ideas for a collection. You can also brainstorm fun projects and then find local agencies that may be interested. Check out Get Inspired below for project ideas. Please be patient. It can be overwhelming, at times, to be approached by families seeking opportunities if an agency is not set-up to welcome families. Understand that some may be reluctant to welcome younger volunteers because they don't feel that they have age-appropriate options for them on-site. That's where being creative comes in, and possibly considering ways to give back without traveling to the actual agency itself. "There are many different ways to serve. Volunteering can be fun and makes you feel like you made a difference." This camp for youth is a unique combination of recreational and volunteer experiences designed to give every child an opportunity to make new friends, have fun, and feel good about what they’re doing in the summertime. We offer it in partnership with the Columbia Association Camps Department. Learn more about Camp Make a Difference. Youth Service America - site features countless resources for young people seeking to make a difference, including project ideas, recognition, grants (for youth, youth leaders and educators) and toolkits for creating and leading projects. Youth Changing the World: A Service Project Toolkit (pdf). GenerationOn is the global youth service movement igniting the power of all kids to make their mark on the world. Their mission? To inspire, equip, and mobilize youth to take action that changes the world and themselves through service. There are a LOT of great resources on the site, including project ideas for younger kids and their families, service stories (for inspiration) and many resources and ideas for teens. The Prudential Spirit of Community awards honor middle and high school youth for outstanding service to the community. Discover projects by other young people that may inspire you to create a project of your own. Learn about national and state honorees via their website. Thank you! Your interest in making a difference and including younger volunteers is appreciated.